If you want to acquire a job, where you’ll be serving as a lifeguard, you must have lifeguard certification for that. It is a proof of authenticity; skills, training and your capability that you can perform this kind of work efficiently. In fact, you have to pass through three phases in order to have lifeguard certification. The first one is to get this certificate that shows that you have successfully passed the basic course. The second is CPR/AED training proof. Then comes, first aid training. Because getting a lifeguard certification allows you to do risky jobs that are not child’s play, there are specific criteria that you must meet. Make sure your age is above 15 when you have attended the last class of this course. Some other requirements must also be considered. These are tough mindedness, agility, ability to make quick decisions, helpful nature and so on. To get lifeguard certification, you must be physically fit and medically healthy. If you are unwell and have certain health complications, how you will be able to do this job perfectly? You’ll have difficulty saving life of others. You must pass all important physical fitness tests. There are different types of classes in lifeguard certification that enable students to work for a particular aquatic environment. All types have their own unique challenges. If you take the example of US, there are four different classes. In standard class, you are asked to work in a normal pool. In other one, you have to work at a water park. In third one, you are supposed to get trained for water environments like ponds, rivers and lakes. Finally, there is Shallow water attendant certification, which is the easiest of all, because there you need to work only at body of water or any pool that is only four feet deep. If you dream of having lifeguard certification to work at a beach, it’s quite tough. There are a few courses that offer this field of expertise. It’s extremely demanding and too difficult to be done by everyone. If you are passionate about this type of work, you better find classes or institutes that offer ‘surf’ lifeguarding in particular. This way, you can qualify to work at beach and save life of people in danger. Lifeguard certification for beach is difficult, but it has wide scope in those parts of world where people chill out on sandy beaches. For lifeguard certification, there are some state-specific rules & regulations. Criteria differ from country to country. 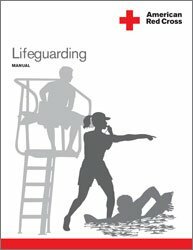 You must obtain complete information about lifeguard certification that is specific of your region. Join the top-notch institute to have best training environment and be a competent professional with authentic and valued lifeguard certification that enables you get approved in practical field. It should also help you move ahead in job market and excel in your career. So, search well and prove your worth to the world by saving people that need your help.